Multi Lotto is opening the doors to the biggest jackpots in the world! In fact, this company is both a lottery concierge and an online casino. 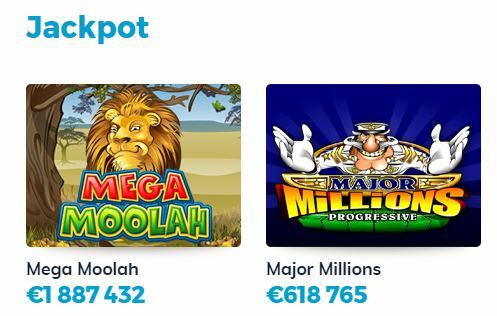 Which means that on top of having access to excellent slots and table games from NetEnt, Yggdrasil, QuickSpin and Play’n GO, you’ll also have the chance to buy lottery tickets online from the richest lotteries in the world. But Multi Lotto does more than offering excellent games and grand jackpots. They also like to team players up who join their lotto syndicate. Joining a syndicate means that you’ll have more chances of winning a share of a Lotto Jackpot! Multi lotto opened its doors in 2011, and they’re licensed and regulated by the UKGC. So, you can play there with complete peace of mind since the best gaming authority in the world protects you. Players who’ll sign up to Multi Lotto will have the chance to claim two different bonuses. And the bonuses you can claim will always be waiting for you in your account after validating it. So, if you’re in a rush to play either casino or Lotto, you’ll skip the hurdles of claiming a bonus with a promotional code. After logging in to your account click on the bonus you want, to claim it! The first bonus you’ll have access to is a 100% bonus up to £100 + 50 Free Spins. As you probably guessed it, this bonus is exclusively for British players who want to play casino. The second bonus will give you £50 extra but to claim it you’ll need to download the smartphone app and login for the first time. The app is available via the Apple app store or the Android app store. What’s important to know about Multi Lotto and the Bonuses? First of all, it’s important to point out that to receive 50 Free Spins, players will need to make a minimum deposit of £20. However, if you’re playing with a smaller budget, it’s worth knowing that a £10 deposit will still activate the 100% bonus up to £100, but you’ll receive 10 Free Spins instead of 50. The wagering requirements are also fair since players are only required to turn over the bonus 35 times. But that’s not all! According to the terms and conditions all payment methods can claim the offer. So, if you’re using Skrill or Neteller, you’ll have access to one of the greatest bonuses online if you play there. For more information on the bonus, we’ll invite you to read the terms and conditions on their site. Multi Lotto is proud to offer a wide variety of payment methods. In fact, players who wish to make a deposit can use Bank Wire Transfer, Discover, Maestro, MasterCard, Neteller, Paysafecard, Wire card, Visa, Diners Club International, Trustly and Skrill. Some payment methods may have processing fees attached to them. To know more about it, we’ll invite you to contact the customer care department via email. Visit Multi Lotto today and get your hands on the biggest jackpots in the world! Have fun!